iRacing is the best simulation out there for public use at the moment. Others may be correct in their assessment of what is considered a simulation. Other games have better graphics, sounds, lots of other things that they list higher on their priorities. But as far as accurately recreating the realism of real-world racing, it stands alone. I agree with you, it is the best simulator. But others confuse the words "simulation" with "game". Anyone else doing the GT3 2.4 hours of spa coming up? Fer sure. Putting in the laps in my Z4, I like long distance races. I started dead last too, contemplating over 30 unknown drivers going over Eau Rouge made me more than nervous. I messed up once, lost a lap and a half, but finished 16th, where I deserved to be. That tire degradation sure is interesting, it also forced me to pit earlier than planned. Epic racing, two and a half hours is brutal. Today iRacing announced a bombshell, no BS, this is huge news. The Nürburgring is coming in 2015. Laser-scanned, and accurate in every way. For me personally, this is the Holy Grail. This last week two championships were decided. Michael Conti captured the 2014 NASCAR PEAK Antifreeze Series championship and $10,000 with a measured drive to third place in the season finale at Homestead-Miami Speedway. Enzo Bonito scored a dominating win in Round 13 of the iRacing World Championship Grand Prix Series at Circuit Park Zandvoort on Saturday, but his team mate Greger Huttu finished second to secure the championship and take home $10,000. Greger Huttu, the world's fastest alien. So this last week iRacing finally introduced driver swaps, opening up true endurance racing. This I like. A lot. Although sprint racing is valid and worthy of sincere recognition, IMO there is too much of it, and just like the real world, races of more than one or two hours are more the norm in many series. There are many series that do have driver swaps, and those getting their fix in iRacing can faithfully recreate that. With the new tire degradation model, Ford V-8 Supercar, Mount Panorama, and the new release of the Holden Commodore VF V8, the Bathurst 1000 can be faithfully recreated. For me, it just keeps getting better and better and better. And I have found myself spending more and more time racing. Just started iRacing on Friday. Loving it so far. Rookies can be quite annoying at times, but I do feel like I belong there. I've gotten the hang of the Mazda enough to run up the front consistently barring any mistakes, and have a few wins (man the first win felt great!). Just trying to get a feel for the basic content before I purchase any extra stuff (though some of it is so very tempting). I just wish it wasn't so damn addicting! I haven't posted in this thread for quite a while, but trust me, iRacing is a big part of my daily life. As I tell my friends, it's my "pleasant addiction". The content and types of changes just keep making this better and better. The tracks are now dynamic, building up rubber as the race goes on, the weather is dynamic, and soon we will get full day to night transitions. LeMans is definitely coming very soon, and with the massive endurance crowd that has established itself within iRacing, it's just getting better and better. 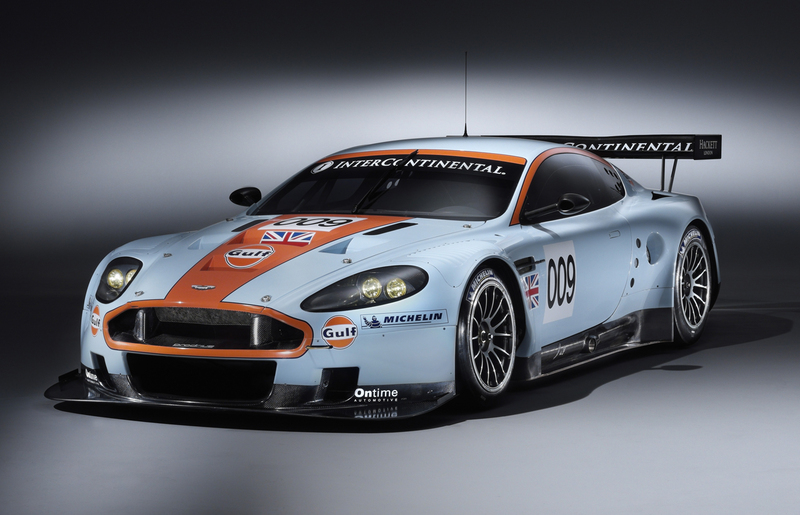 And we're starting to make a lot of noises about wanting proper LMP1 cars. There are lots of real cool GT3 cars, but we always want more. Dirt is coming, initially in the form of some dirt ovals. But already many are clamoring for rally. I fear that, the Finns already dominate road racing, and if they get something that is practically their national sport, ouch for the rest of the world. For me, VLN arrived, and it's exactly what my racing soul needs to food. VLN is a collection of German auto clubs who banded together and run a series of races at the Nordschleife. Mind you, the racing is very professional, but it's more club racing in atmosphere, fellow gear heads who just love racing on arguably the greatest track ever built. And in three hours I'm going to find what I'm made of, a four hour event at one long and great track. The grids are going to be massive, the field a mixed bag of three distinct classes, fun fun fun. I tried AC for a few hours and didn't like it. Also Forza 2 was no match for LFS. I am hoping Iracing is the one. I usually race small single seaters, I've done all my mileage in the Formula BMW in LFS. The small single seater is very much alive and well in iRacing. There is the Skip Barber, extremely popular and some very fast drivers are regulars. Not that I measure up against the really fast guys, but I race that a lot. Last week was the Nordschleife, tons and tons of fun with that small car and that wonderful track. There was one race I was within 1 second of another car for two laps, we traded positions and had a ball. I've seen Reubens Barrichello doing the Skippy. There is the Spec Racer Ford, a small but very friendly community, most of the regulars know each other well and there's a lot of respect going on. The Star Mazda is still busy, but it's basically being replaced in popularity by the Renault 2.0. The Formula Renault 3.5 is in the pipeline, many eagerly anticipate that gem. And at the top of the food chain is the McLaren MP4-30. So just in single seaters there is a full variety, but always remember iRacing is all about the competition. We race each other, and we race each other hard. A fun race. Yup, my helmet is red. Last lap at the Nordschleife, take no prisoners. So after driving a few simulators, I'm pretty keen to get one of my own and run Iracing on it. My question is what cars and tracks come with membership? Also, from what I understand each car and track costs about $15 each? Wow, been a few years since I signed up and I can't state definitely what comes with the initial subscription. But there's a handful of cars and tracks that fulfill the requirements for both oval and road race rookie class that are part of the subscription. For tracks there's Lime Rock, Laguna Seca, Charlotte road layout, Okayama, and Summit Point. For ovals there's a few short tracks and Charlotte. Each track has multiple layouts, so just one track can deliver three of four options. For cars the road race has the Mazda MX-5, Pontiac Solstace, Cadillac CTS-V, and the Spec Racer Ford. Oval has a Legends and a Street Stock. A car costs $11.95 and a track $11.95 or $14.95. The driving view is only from the cockpit, we don't approach this as anything but a realistic attempt at real racing. Now the good part. If a member buys 3 items of content, they get a 10% discount, 6 items will get a 20% discount. Anything you buy is yours for life. If you let your subscription expire, you can re-sub and that content is still yours. Right now a new membership is just $18 for 3 months. It is also just $7.20 for just one month. My recommendation is to buy a subscription for your budget, be it one year or one month, and give it a try. If you like it, then fine. If you don't then it's still fine. But I caution you, it is like walking into a candy store. When I first signed up to iRacing I though I would be soooo smart, be careful in what I bought and keep my costs under control. That lasted about three months, and now I own every piece of road race track and cars. It is freaking difficult when you can get Imola or the Nordschleife or Silverstone or Interlagos or Spa or Indy or a Lotus 49 or a Mercedes GT3 or ... you get the idea. If I missed anything, please ask. The only dumb question is the one that was not asked. And cm97 (or anyone else) if you do get iRacing and want some assistance on getting your feet on the ground and going in the right direction, I'll be honored to lend a hand and help you figure it out. Inside the service it may be confusing and complicated. I forgot to mention a very relevant fact. Unlike most racing games, in iRacing you cannot subscribe to the service and just go race whatever car and track you desire. There is a license class system in place, and each series has a specific minimum license class level to compete in. Everyone must start in Rookie, graduate to D, then up the ladder to A. It must be earned by quality driving. Thanks Blinky, that's some great info for me. I get what you mean with the candy store, I have already gone through and had a look at both the cars and tracks. it's fair to say I would send myself broke pretty quickly. It's probably still a few months away but if I do commit, I'll be sure to let you know...once I learn how to stop crashing. You are welcome cm97. The thing is, if you already have a wheel and pedals, then just an initial subscription is relatively cheap, and during that time you can learn if it's for you, and also learn what it really costs. The regular price for 3 months is $30, and that would be your entire costs, and allow you to do a heck of a lot of racing/learning/crashing lol. There are many different racing sims on the market, and IMO there isn't one that is "best". They each cater to individual desires and expectations. Some sims are beautiful, sound great, and have fantastic effects. But iRacing separates itself from the rest by just one feature, it is structured around online competition, as realistic as possible. The cars and tracks are as realistic as technology allows, and there is no AI, just competition. No BS, no parachute, no reset button. iRacing has now been active in broadcasting more races, they can be found at their home page ( http://www.iracing.com/ ) in the Multimedia > Live Broadcasts. I suggest you take a peek there, maybe even watch some racing. I will be watching an interesting race tomorrow, Tony Stewart will be racing at Pocono against iRacing's best oval racers, and on Saturday the iRacing.com World Championship Grand Prix Series races at Indy road course, and I absolutely it will be more interesting than the real Formula one races. Thanks Blinky, just need to get my hands on a wheel. Once I've got some money and done some research I will have a go. If you don't mind me asking, what kind of wheel do you use? Please understand that I have been doing this for many decades and worn out many wheels and pedals. I am also a retired elecrtician, so I can devote some money into my hobby. I currently have a Fanatec Clubsport base, wheel,and pedals. They were a wonderful birthday gift. I also have Derek Speares button boxes on each side of the wheel base. Wheels are not the critical factor, but pedals do make a huge difference in lap times and consistency. I strongly suggest load cell brakes. Wow Blinky, that is a truely impressive set up you have there mate. If/when I commit, I will look into load cell brakes. Thanks for your help with all this information, I really appreciate it. What you see is eye candy, toys for boys. IMO such a fancy wheel is not crucial for success. But good pedals are. My now retired previous set was a Logitech G 25, darn stout and reliable. But my switch from the position sensitive G25 pedals to the load sensitive Fanatec pedals immediately gave me much improved consistency. That being said, the most important factor is still driver skill. Not equipment because sim racing champions have won titles in G 25's, not uber expensive and fancy stuff. In the spirit of the Olympics, I wish to submit my gymnastic dismount from Forrest's Elbow. And who says Bathurst isn't difficult? Which leads to my rant/preaching. I will always maintain that different people have different expectations and different games/sims appeal to those various tastes. There is no "best' game, only that one may appeal more to one individual. But for iRacing it is the competition, where races are run on a regular basis and that there are many, many types. And since it involves realistic cars and tracks, it beings sim racers closer to what's really happening out there in the real world. Formula One is just the tip of the iceberg in the racing universe. Andy Murray may represent Britain in tennis, but each day thousands of people take to the courts and hammer the ball and have fun. And in iRacing we face constant exposure to races and series ignored by the Formula One crowd. On top of that we develop a profound appreciation of the talent, hard work, and absolute commitment by real world racers. For myself, after year of lack of focus, I am devoting a lot more to the GT3 class because it has lots and lots going on. Not only the Blancpain series (sprint of 40 0r 60 minutes and the endurance of 3 hours) but also the really classic long distance races such as VLN, LeMans, and 12 hour races like Bathurst. All I can state that anyone interested in realistic competition where graphics and fantasy take a back seat, you will find me in iRacing having so much fun it ranks right up there with other heavenly pleasures. Yesterday we got a new car. This was a fun race, and a warning about the language, unfiltered. I'm more than pleasantly surprised at all the advances and improvements iRacing is continually introducing. Sure, there is always room for improvement, and in some areas iRacing lacks features other sims enjoy. But for what's going on, this sim has drawn me in deeper and deeper, there is so much to enjoy, and not enough time in a day. Along with the growth of many sims, the ability to broadcast them is also expanding at a fierce rate. Twitch is available, but usually nothing to write home about. But there are quite a few broadcast sites operating now, and anyone can watch many different kinds of races each day. Some you may be justified at casually dismissing, but some are not only very competitive, but the racing is world-class. A good starting point is iRacing itself, and it's live programs. Some of my favorites are the Grand Prix World Championships, the Grand Prix Legends with the Lotus 49, and the Skip Barber. 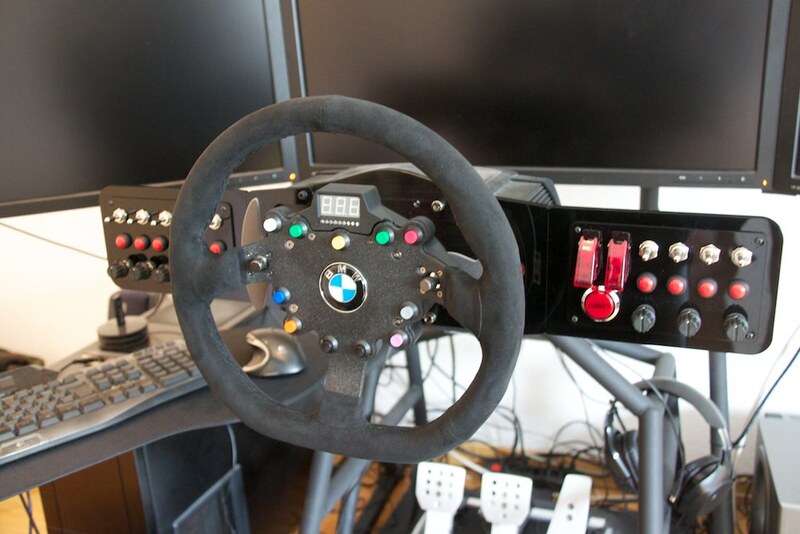 The drivers are well known within the sim community, and the competition is extremely fierce. Dayum, I am spending less and less time surfing the net and engaging in forums because I spend almost all my free time iRacing. When I decided to take the plunge into iRacing I was certain I would enjoy the racing. What I did not anticipate was how far I would be drawn in. Because of the competitive nature of this sim, I have enjoyed many races, steadily working towards improving my skills. And as my skills developed, I have been involved in more exciting "projects". For example, last month I competed in the (iRacing version of) 24 Hours of LeMans, swapping seats with my three other team mates. It was such a glorious adventure we are diligently working towards the next 24 hour event, at Spa. Along the way I have met and made many friends, enjoyed watching and racing incredible races, and to add more workload to my already busy schedule, I have taken on the role of driver coach. You can't have your cake and eat it too. Some previous pleasures I have now discarded because iRacing offers more, and there is only so many hours in a day. And this applies to my participation in forums. It is not that I find the topics and people interesting, it's just that I always have a race to run, someone to coach, or something else to do. Personally I sense my participation in wonderful forums like this PF1 will cease, for the simple fact that I am addicted, and hopelessly and happily lost in the world of racing. I have anticipated it, and that's exactly why I refuse to even install it. I know my own addictive personality entirely too well! Nicki Thiim, a professional GT driver with impressive credentials is a long time iRacing member who has just started streaming his races. The guy is funny and wild,and his love of racing is contagious. Last edited by CC78AMG on Tue Nov 14, 2017 6:20 am, edited 6 times in total. Holy crap, it's a small world at times. CC, we know each other pretty well. You know me as Fightsnaked in Twitch, and my real name is Dave Killens. Wow, two shocks in two hours. Running across CC in here was a major surprise. He's a really nice guy, and unfortunately for me, a heck of a lot faster than I am. Anyheww, back to the original train of though. Recently iRacing has delivered stunning new content. IMO the last 4 cars released (Ferrari 488 GTE, Ferrari 488 GT3, 2017 Ford GT, and the Porsche GT3) have all been home runs, truly enjoyable cars that deliver big on the experience. But earlier today, iRacing released a video that has anyone even remotely connected with endurance racing buzzing. Many (myself included) have campaigned for LMP1 cars, and even being aware that iRacing have dropped hints here and there, just got knocked on our backsides. I respect the fact that other sims have comparably cool cars. And I do not wish to take anything away from them. But what has always separated iRacing from the rest is the structured racing. Cars are cool, tracks are cool, but they are just the backdrop for what really goes on in iRacing, the structured racing. I don't race AI, I race other people. And in iRacing it's too easy to find a race in whatever flavor I desire, be it Indycar, NASCAR, Porsche GT3, and even dirt. Everything is sanctioned, everything is adult level racing (you don't see console kiddies driving backwards and crashing others) and you don;t have to search around for the type of racing you desire. So the news about LMP1 just came out this morning, and already myself and my team members are already planning the 2018 24 Hours of LeMans race. It just keeps getting better and better and better. This is a good iRacing promo into one of its most popular series, the Skip Barber series.